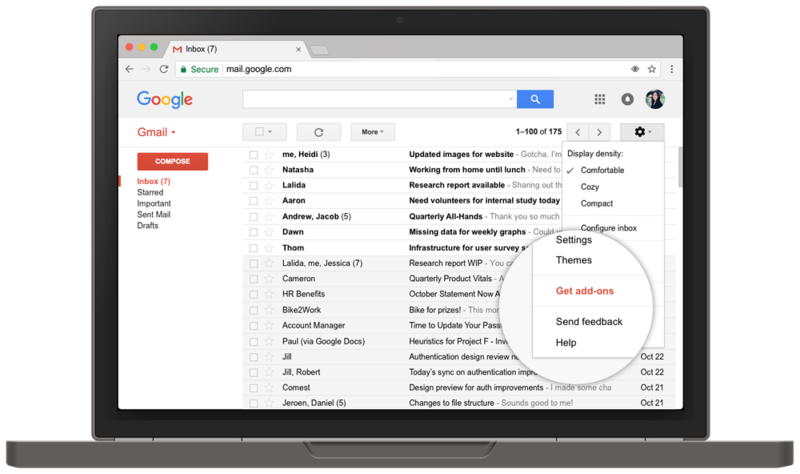 Gmail’s third-party add-ons are built for your workflows and ready to make short work of your inbox. Rather than toggling between your inbox and other apps, use add-ons to complete actions right from Gmail. With Gmail Add-ons, your inbox can contextually surface your go-to app based on messages you receive to help you get things done faster. And because add-ons work the same across web and Android, you only need to install them once to access them on all of your devices. Click the settings wheel on the top right of your inbox and then “Get add-ons” to get started. Versatylo is an innovative e-Learning and web solutions company. We are dynamic, young and keen to create awesome products and solutions for our esteem customers. We take massive strides in the field of e-Learning, Web Design, Digital Marketing, SMO Services, SEO Services and Interactive Media Development.